Huawei Enjoy Max VS Huawei Mate 20: Will The Enjoy Max Make A Batter Option? The Huawei Mate 20 is not the only phone with a teardrop notch. 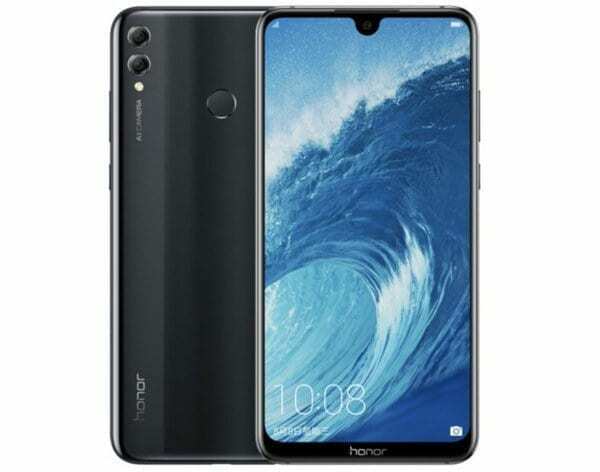 You will also get a similar design on the Huawei Enjoy Max which is the same thing with the Huawei Honor 8X Max smartphone. The good news here is that the Huawei Enjoy Max is an affordable phone. So if you don’t have enough cash to grab your own unit of the Huawei Mate 20, then the Huawei Enjoy Max will be your best bet. Before then, let’s compare the Huawei Enjoy Max with the Huawei Mate 20 to see if the specs differences and performance is massive or not. On the front, both phones have a similar notch. It’s only on the bezels that you will notice the almost invisible bezels on the Huawei Mate 20. Apart from that, the Mate 20 is also blessed with a triple rear camera, and an IP67 rating making it both dust and water resistant. The Huawei Enjoy Max is built with an Aluminium and plastic with body dimensions of 86.24 mm x 177.57 mm x 8.13 mm and it weighs 210 gram, while the Huawei Mate 20 is built with Aluminium and glass and it measures 77.2 mm x 158.2 mm x 8.3 mm and 188 gram. Both phones are available in multiple colors and they have a rear-mounted fingerprint scanner as well. The Huawei Enjoy Max has a bigger screen size of 7.12 inches FHD+ under IPS, LCD Capacitive touchscreen with screen resolution of 2244 x 1080 Pixels and 350 PPI density. The Huawei Mate 20 X has a 6.53 inches FHD+ with a screen resolution of 1080 x 2244 Pixels and 381 PPI density. The Enjoy Max has IPS, LCD Capacitive touchscreen with display protection and 83.74% screen to body ratio, while the Mate 20 has RGBW IPS capacitive touchscreen with display protection as well and 88.30% screen to body ratio. The Huawei Enjoy Max has a dual rear camera of 16MP + 2 Megapixels with Digital zoom, an LED flash and a front facing camera of 8 Megapixel with F2.0 Aperture, CMOS BSI Sensor, and Face Recognition. On the Huawei Mate 20, you will get an impressive camera of 12MP + 16MP+8MP that features ultra wide angle and telephone lens for beautiful and perfect shots. On the front, you will get a selfies camera of 24 Megapixels with F2.0 Aperture, CMOS BSI Sensor, and Face recognition. In terms of performance, the Huawei Mate 20 is a beast of the Enjoy Max. The handset is shipped with the latest Huawei HiSilicon Kirin 980 chipset, while the Huawei Enjoy Max has Qualcomm Snapdragon 660 MSM8976 Plus which is not that bad considering the price. Both phones have 8-core with 4GB of RAM and an inbuilt memory of 128GB. The Huawei Mate 20 has a bigger model with 6GB of RAM, while the Enjoy Max has a smaller model with 64GB of storage and you can still expand both phones inbuilt memory unit’s as well. The Huawei Mate 20 is powered by the Android 9.1 Pie operating system, while the Huawei Enjoy Max runs on stock Android 8.1 Oreo. 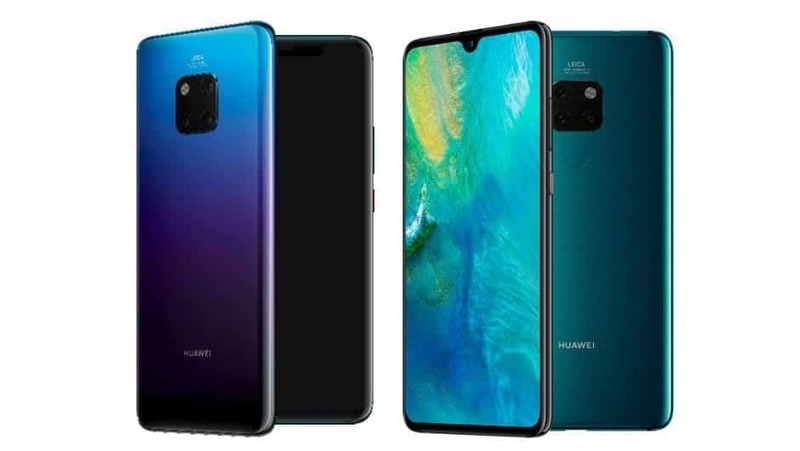 The Huawei Mate 20 has a nonremovable battery capacity of 4000 mAh with both fast and wireless charging technology, while the Huawei Enjoy Max has a nonremovable battery capacity of 5000 mAh with fast charging technology. On the price, the Huawei Mate 20 will cost around $900, while the Huawei Enjoy Max will sell at a price of $280. Although the Huawei Mate 20 has special features you won’t see on the Enjoy Max, still, the hardware on the Enjoy Max will deliver smooth performance to users. Considering the cap on the price, the Huawei Enjoy Max will make a budget buy.